A Few Eco Charts to Chew On…. Is This Recovery Still On? 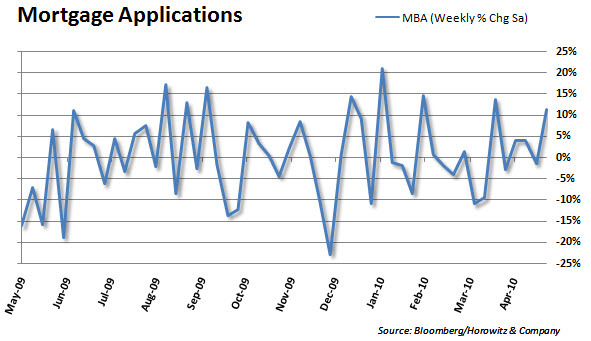 Mortgage applications showed a nice weekly improvement. This is one of the unintended consequences of the Euro crisis that is providing a nice amount of relief to interest rates in the U.S. Applications are not the best indicator as they are similar to Pending Sales and only provide interest levels, rather than actual sales. 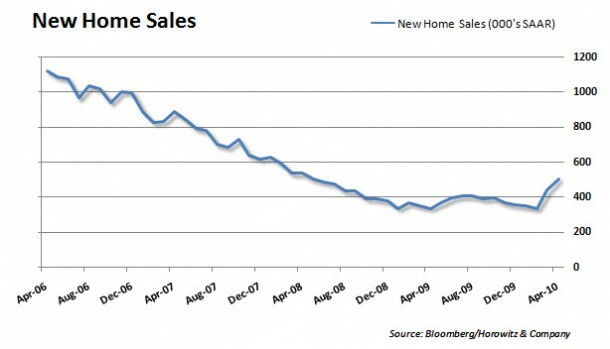 But, we do see that the MoM rate of new home sales did drop, clearly a return to the “normal” levels that were seen without the tax credit. 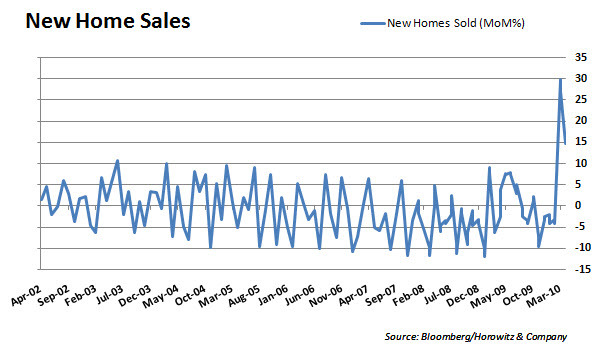 Trend of sales has been on the rise. We suspect this will move horizontal to down over the next few months. 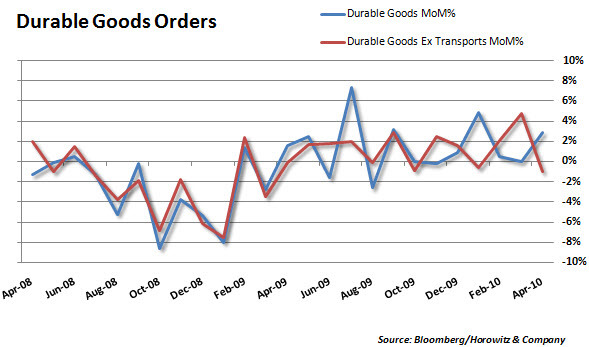 Durable goods headlines were well above expectation, but stripping out transports they were somewhat disappointing. Boeing (BA) orders/deliveries were the biggest drive of this report.